Cyberbullying is on the rise worldwide. 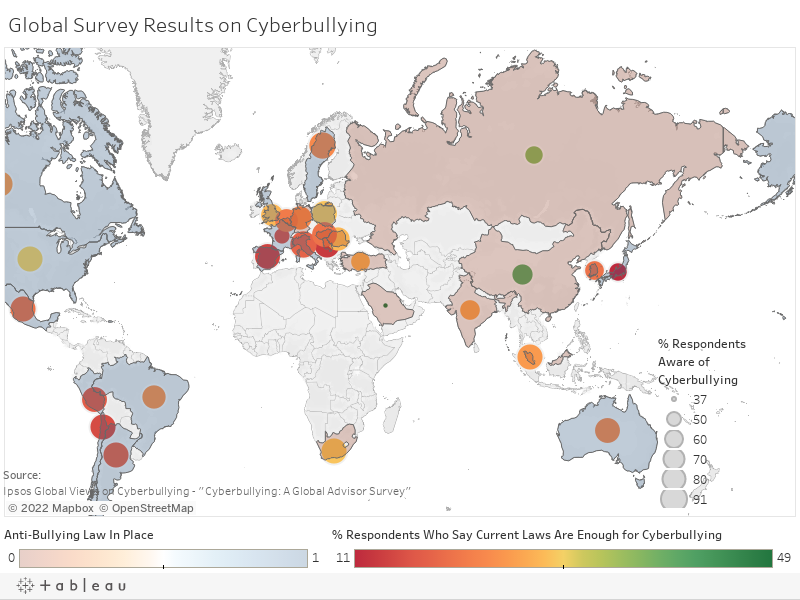 We've gathered both local (US) and global cyberbullying statistics, trends, and facts that help illustrate the extent of this growing problem. 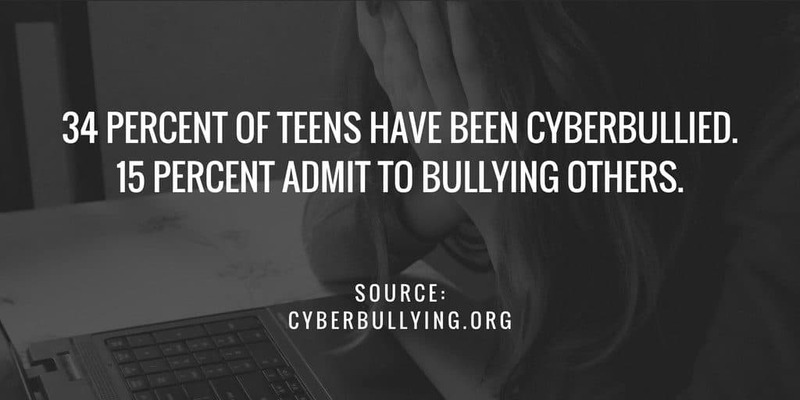 Our article focuses on cyberbullying data from 2016, 2017, and 2018 before delving into some older, but relevant stats. *This list of cyberbullying statistics from 2016-2018 is regularly updated with the latest facts, figures and trends. We analysed the results of an Ipsos international survey of adults in 28 countries which reveal an increasing number of parents have children who have experienced some form of cyberbullying. In total 20,793 interviews were conducted between March 23 – April 6, 2018 among adults aged 18-64 in the US and Canada, and adults aged 16-64 in all other countries. Of particular interest are Russia and Japan. In both countries, parents expressed extremely high levels of confidence that their children did not experience cyberbullying of any kind. 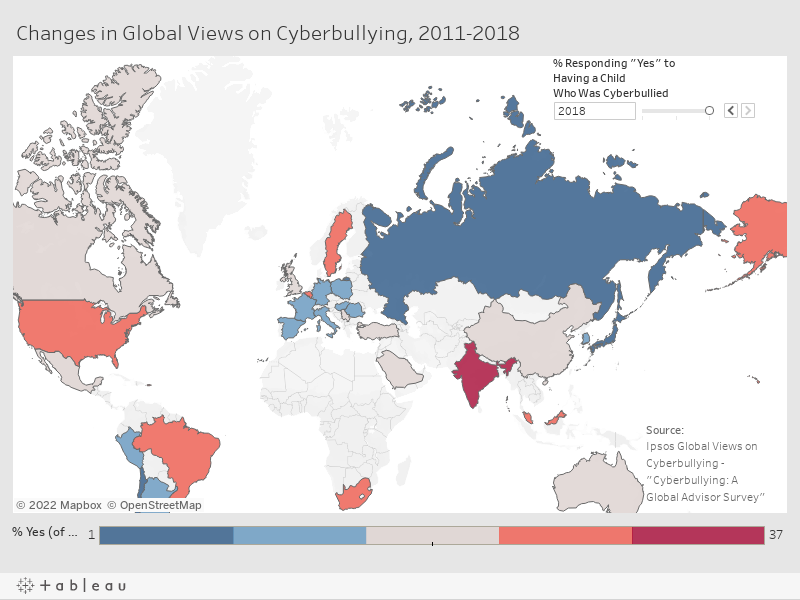 Meanwhile, Indian parents remained among the highest to express confidence that their children were cyberbullied at least sometimes, a number that only grew from 2011 to 2018. Across Europe and the Americas, it also appears more parents are either becoming aware of their children’s negative experiences with cyberbullying, or their children are increasingly experiencing such attacks online. Respondents who believe current laws are enough to handle cyberbullying cases. According to the Cyberbullying Research Center, which has been collecting data on the subject since 2002, that number has doubled since 2007, up from just 18 percent. Disagreements in statistics and data gathering methods aside, a minimal increase in cyberbullying is a distinct positive. It’s also an indication that the increasing attention on cyberbullying in the intervening years has done little to stem the tide. Research presented at the 2017 Pediatric Academic Societies Meeting revealed the number of children admitted to hospitals for attempted suicide or expressing suicidal thoughts doubled between 2008 and 2015. Much of the rise is linked to an increase in cyberbullying. (Source: CNN). More teen suicides are also now attributed in some way to cyberbullying (1, 2, 3) than ever before. It appears bullying has effects beyond self-harm. 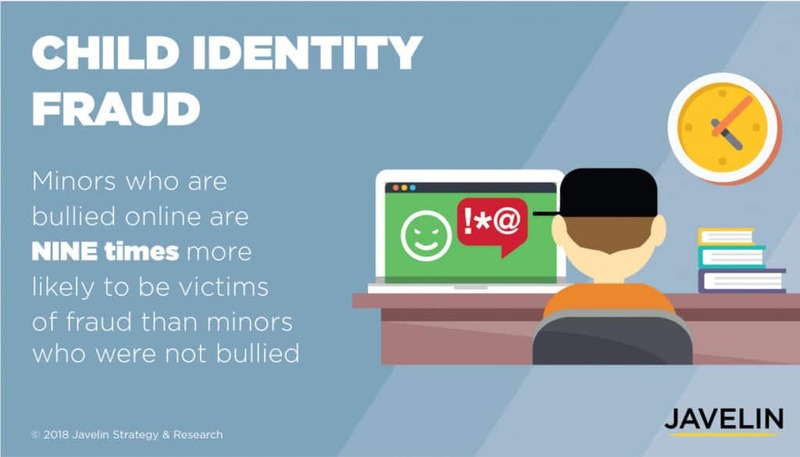 Javelin Research finds that children who are bullied are 9 times more likely to be the victims of identity fraud as well. While data on cyberbullying growth rates are sometimes difficult to come by, there’s a much larger body of information regarding where and how cyberbullying occurs. Just as with bullying before social media and internet forums, those who bully others typically look for two things: opportunity and attention. In the internet age, the opportunity to bully others has only increased. Prior to the internet, a physical presence was often needed outside of spreading rumors. Now, bullying can occur immediately, to a much larger audience, and can spread much faster. Additionally, those who choose to bully others can get more immediate gratification from likes, shares, retweets, and the “piling on” effect that often occurs when others add to an already negative situation. As one 2010 study found, bystanders can have a significant impact on vulnerable students’ risk for victimization. According to the study’s findings, bystanders can “moderate the effects of individual and interpersonal risk factors for victimization.” While the study was conducted on physical bullying, by extension, “bystanders” can have a significant impact in online interactions by either calling out such behavior or, lacking that, not responding and diminishing the attention cyberbullies may be hoping to receive. Data from numerous studies also indicate that social media is now the favored medium for cyberbullies. Other formats are still in use as well, however, including text messaging and internet forums such as Reddit. The long-lasting impacts of cyberbullying are difficult to ignore. Alongside the increasing number of suicides directly linked to cyberbullying, other consequences arise for bullying victims. 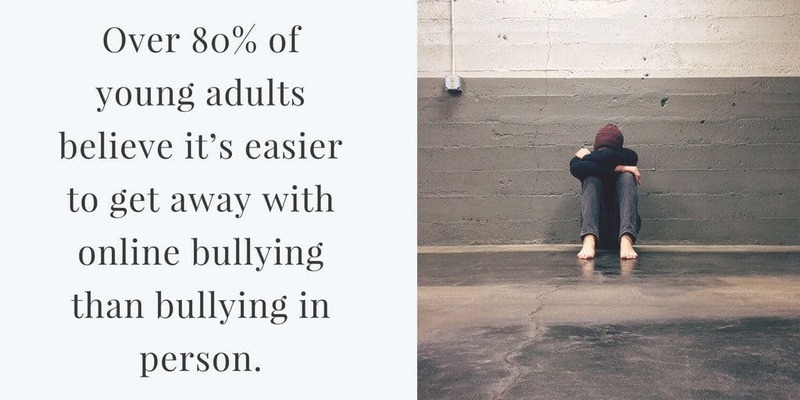 One 2016 study discovered that bullying victims are more likely to engage in substance abuse and nonviolent delinquency. Other cyberbullying research (listed below) indicates that cyberbullying carries over into how students feel about their physical safety at school. Additionally, cyberbullying can negatively impact a student’s’ overall success by cutting into their motivation. Adolescents who engaged in cyberbullying were more likely to be perceived as “popular” by their peers. 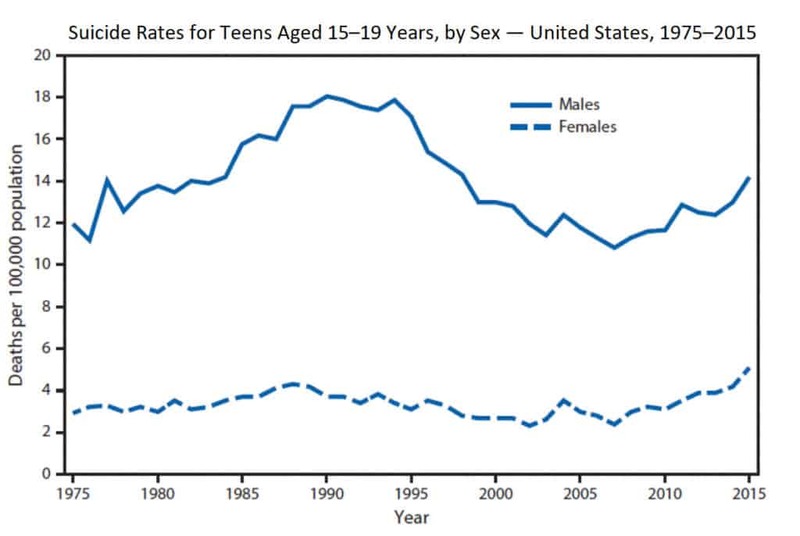 (Source: Journal of Early Adolescence). One common theme emerged as we researched various aspects of cyberbullying—a stunning lack of data. This is not to say that research on cyberbullying isn’t there. Even a simple search in research databases will reveal thousands of articles covering the topic in some form. However, most research on cyberbullying is either small in scale or lacking in depth. Most research is also based on surveys, resulting in a large variation in the results from survey to survey. The Florida Atlantic University study represents one of the best sources of information to date. However, more is needed, including a meta-analysis of the data gathered from many other sources. Until then, publically available cyberbullying statistics paint an incomplete picture of the ongoing issue. Despite a lack of consistent publicly or easily-accessible data, a plethora of data from beyond 2015 can still help shed some valuable light on the issue. Past research and statistics reveal where cyberbullying has been and help reflect on why this issue is still a concern today. Looking for more internet-related stats? Check out our roundup of identity theft stats and facts for 2017 -2019, or our Cybercrime statistics which runs to 100+ facts and figuress.